Around the country there are a number of places where you can go and see or sit inside a reconstructed prehistoric house. We haven’t visited them all by a long shot, but here’s the list. Let us know what you think of them if you’ve visited. Interior of the Earthhouse at the Ancient Technology Centre. Photo courtesy of the Ancient Technology Centre. This set of reconstructed buildings in Cranborne in Dorset includes a Neolithic (Stone Age) log cabin and two Iron Age roundhouses, one very special one based on unusual roundhouses excavated on the Isle of Man. There are also Roman, Anglo-Saxon and Viking replica structures there, too, so you could teach the whole of the British history part of the Key Stage 2 curriculum there if you want to! 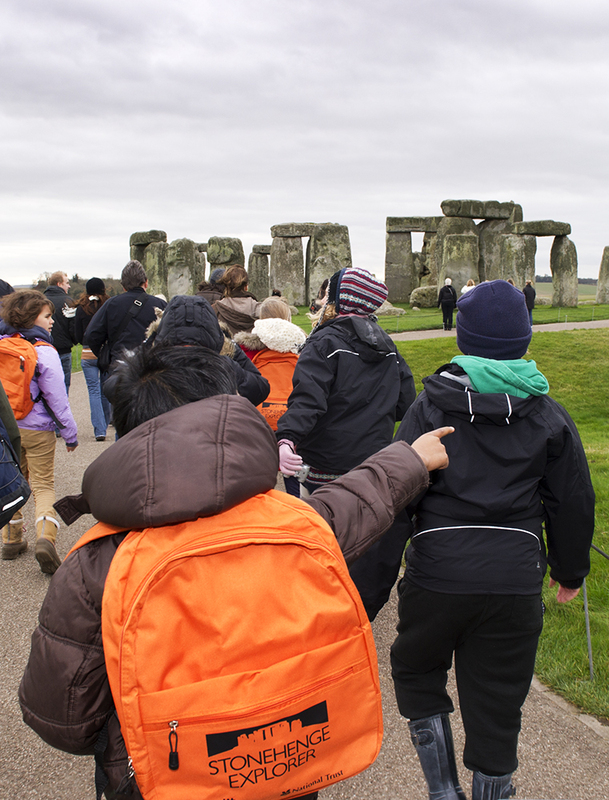 The site is not open every day so schools must contact the site and work out a suitable day to visit, and plan what activities your pupils will take part in. The focus is very much on hands-on skills. 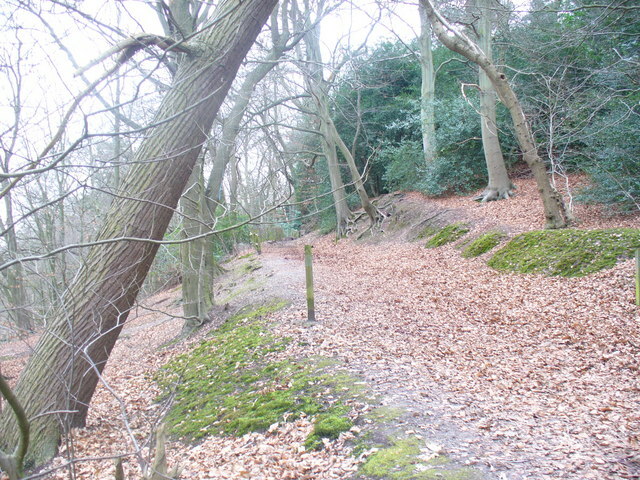 This site in Hampshire is the third version of Butser, which was first established by Peter Reynolds to conduct experiments in Iron Age farming techniques. Most of what we think we know about house construction and food storage comes from the experiments conducted there in the 1970s and 1980s. They also keep ancient breeds and grow ancient crops. They have an Iron Age settlement, a Roman villa and are developing some Neolithic houses based on those found at Durrington Walls near Stonehenge. The new visitor centre at Stonehenge is complemented by reconstructed Neolithic houses, the kind of dwellings people may have lived in at the time of one of the major phases of construction at the monument, about 2500 BC. The houses were built with guidance from the Ancient Technology Centre, above. English Heritage will be running Discovery Visits at the houses and visitor centre, which will involve hands-on learning with replica objects and craft activities. The museum in Chalfont St Giles, Bucks, mainly preserves buildings at risk from around the Chilterns. Most of them are nineteenth century in date. There is a reconstructed Iron Age roundhouse based on one excavated near Dunstable and a great Iron Age and Roman theme day that schools can book to find out about life 2000 years ago and how things changed. Children get a chance to try out Iron Age jobs, like grinding grain and baking bread in the reconstructed roundhouse, or older children will learn hunting techniques in the woods and how to lead a tribe. A reconstructed Iron Age roundhouse can be visited at Ufton Court Educational Trust near Reading. A visit includes meeting an Iron Age person and then comparing their way of life to the Roman and re-enacting Boudica’s revolt. You can go see the preserved timber posts of a huge walkway across the fen leading to a wooden platform where hundreds of bronze weapons and other artefacts were committed to a watery grave, along with reconstructed Bronze Age and Iron Age roundhouses. In the on-site museum, there’s also the earliest wheel found in Britain. Hadleigh’s roundhouse is based on a floor plan from an archaeological excavation at Little Waltham, near Chelmsford. The field containing the roundhouse is open on most days to allow visitors to view its exterior. Schools can book to see the inside of the roundhouse and do some activities, like an archaeological dig. This Mesolithic house in Northumberland dating to about 8000 BC was quite a sensation when it was excavated by archaeologists from the University of Newcastle. A reconstruction was built for BBC’s Meet the Ancestors which still stands and can be seen on the Maelmin Heritage trail. A settlement of three Iron Age roundhouses has been built and is open for school visits at Herd Farm north of Leeds. Children get to become Iron Age villagers and learn everyday activities people would do in the Iron Age. This museum seems to have an Iron Age roundhouse and leads educational sessions with schools. The roundhouses at Castell Henllys are built inside the original Iron Age hillfort, for an extra authentic feel. There is an education centre nearby with plenty of objects excavated from the site to look at, as well as replica objects to handle. The two roundhouses are thought to be how Late Bronze Age and Early Iron Age houses looked in the area. Local schools use one of the roundhouses. A new Iron Age replica farmstead was recently opened at St Fagan’s Open Air Museum. The building, which is based on an archaeological site from the time of the Roman conquest, is a recreation of a small Iron Age farmstead near Llansadwrn in the eastern corner of Anglesey. Caer Alyn heritage project runs digs on an Iron Age hillfort and two roundhouses have been reconstructed there. Inside the roundhouse at Navan Fort. Courtesy of Navan Centre & Fort. 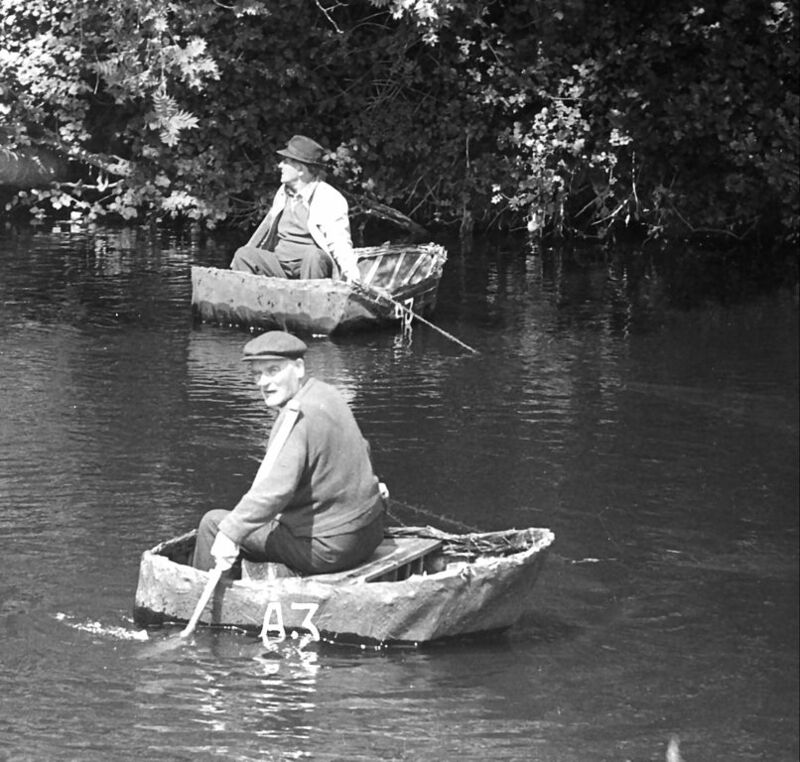 Navan, or Emain Macha, is an iconic place in Ulster history. It was an Iron Age ritual fort in which a series of huge roundhouses were built. Then, in AD 94, the biggest roundhouse of all was built (or possible several concentric circles of posts with no roof) and subsequently set on fire and sealed under a rubble and earth mound. One of the earlier, smaller, roundhouses has been reconstructed near the site and there are a number of school workshops available. Crannogs, dwellings built on piles in lakes, were built in Ireland and Scotland for hundreds, if not thousands, of years. The Scottish Crannog Centre is a reconstruction of an Early Iron Age example. Pupils learn about life on the crannog in Lock Tay and try their hand at wood-turning, stone-drilling and fire-making. Children realise how ingenious Iron Age people were to survive and prosper in this situation. The north/south divide doesn’t apply in prehistory – or does it? Any teacher that contacts us through Twitter, this site or, indeed, face to face, better be ready to be amazed when we point out some amazing archaeology on their doorstep. We’re so used, today, to all the good stuff being in London and the south-east, that it becomes second nature to believe all the good archaeology is in the south, too. This error is compounded by the myopia that fixates us on Stonehenge and ‘Wessex’. But it’s been a good twenty years since a change in the planning process has transformed what we know about the rest of the country. The hills of Wiltshire, Dorset and Hampshire were a focus for the two centuries or more before that because there were huge estates of unploughed land there covered in barrows, cursuses and henges. And because of Planning Policy Guidance Note 16, published in 1990, now transformed into the National Planning Policy Framework (yes, it’s important to know about this, people! ), as well as targeted projects, we now have a huge number of exciting sites to shout about in the north and west, and, yes, the south and east of Britain. 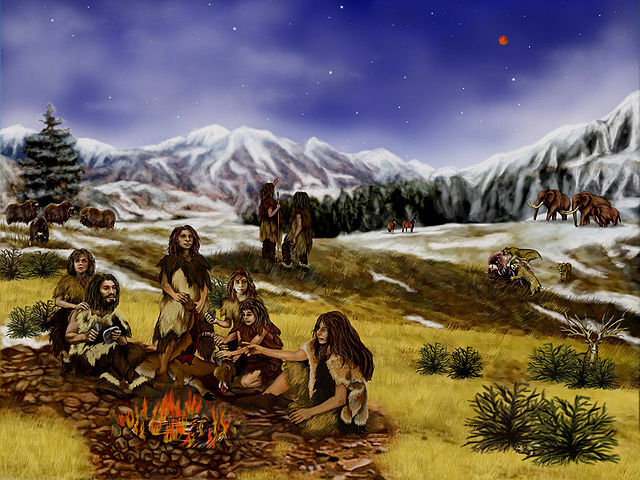 Let’s take the Mesolithic semi-permanent houses that are cropping up in southern Scotland and northern England (and for this we must thank Spencer Carter of microburin.com for his extensive notes on this and related subjects), e.g. at Howick, Low Hauxley, East Barns and on the Isle of Man, not to mention Star Carr. The Mesolithic was traditionally seen as the nomadic hunter-gatherer stage before people settled down in the Neolithic. With a house that stood for 100 years? Strange kind of nomads. Not only that, but better understanding of the chronology of sites and artefacts has proved that many innovations moved from north-south rather than the other way round. Grooved Ware, a late Neolithic style of pottery, was first made and used in the Orkneys before spreading around Britain. Cursuses, those enigmatic double-banked linear monuments, seem to have originated in northern Britain and spread south. But they have been investigated in the opposite direction. Unfortunately, because the revelation that other parts of Britain mattered too in prehistory is only a recent one, there have been tragedies where vital information has been lost. 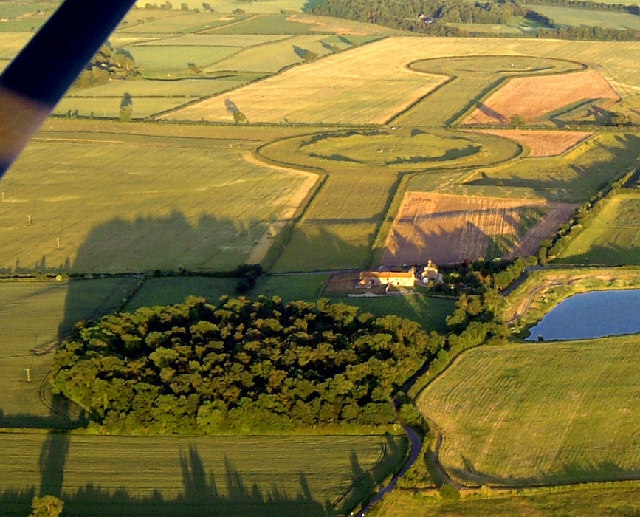 The Thornborough henges in Yorkshire are three large henges (earthern circular banked monuments) in a row surrounded by a ritual landscape of barrows, pit alignments and another cursus. Sadly for Thornborough, the underlying drift geology is gravel, which needs to be extracted to make roads and driveways and there is ongoing pressure to destroy much of the archaeology around the henges. It would, of course, be recorded, but the henges would be divorced from their wider context. Of course, it’s not just north/south, but every region of Britain that isn’t Wessex has it’s amazing monuments. And every region has its experts, too. We’ve been gathering names of prehistorians from around the country who will be willing to talk to teachers about their local Stone Age to Iron Age sites. Why not kill two birds with one stone and teach the new prehistory element through the local history study? And get one of our experts on your doorstep to help you plan. Bradley, R 2007. The Prehistory of Britain and Ireland. Cambridge University Press. Harding, J 2013. Cult, Religion, and Pilgrimage Archaeological Investigations at the Neolithic and Bronze Age Monument Complex of Thornborough, North Yorkshire. 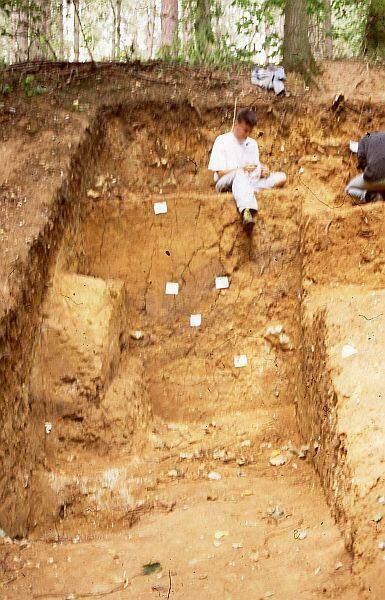 Council for British Archaeology Research Report 174.